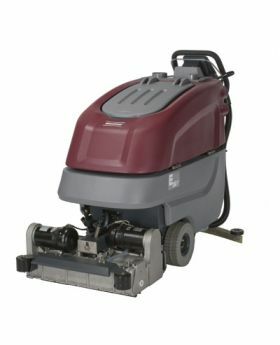 Minuteman E24 is the new and innovative walk behind scrubber for today's green cleaning. The E24 is proven to increase productivity without causing strain or discomfort. These E24 automatic scrubbers have advanced technology along with green clean features. Two powerful brush motors guarantee an even cleaning result across the whole width of the scrubber. These floor scrubbers are engineered to change the way you clean floors.